Reading the web 'later' is something that's always been popular, with 'Pocket' probably being the market leading service for remembering URLs for later consumption, usually in the app itself but with various reading modes to make things easier. Latermark for Pocket UWP is exactly as it sounds, a third party client for the service for Windows 10. A Pocket (formerly Read It Later) client. You need a Pocket account to use the app. A few features (like pin or print an article and share) are only available on some platforms like desktop, tablet or phone but not on e.g. the XBOX. View and read your Pocket bookmarks in a customizable, zoomable and printable reader mode, in an integrated native webview, or open them in your browser directly. 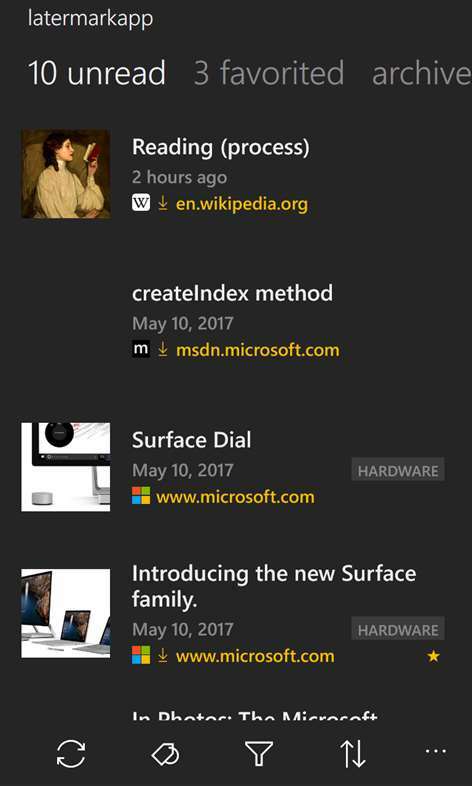 Sort or filter your bookmark lists by category or tags or search for specific bookmarks. Download articles (most articles including images, not audio or video though) for offline reading (articles viewed once are downloaded anyway). Share a bookmark from Latermark to other apps (like Mail). Put Latermark on your lockscreen and pin individual items to your Start screen for quick access. 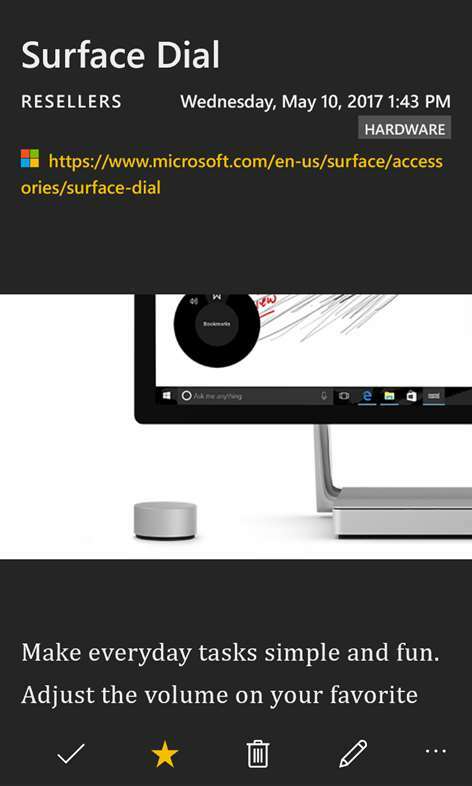 Share links to Pocket via Latermark through the Windows share function (from e.g. Edge or Twitter) when online and even offline. These are the web items saved for 'reading later' - you can then plough through them at your leaisure, even offline, in theory. Very useful. 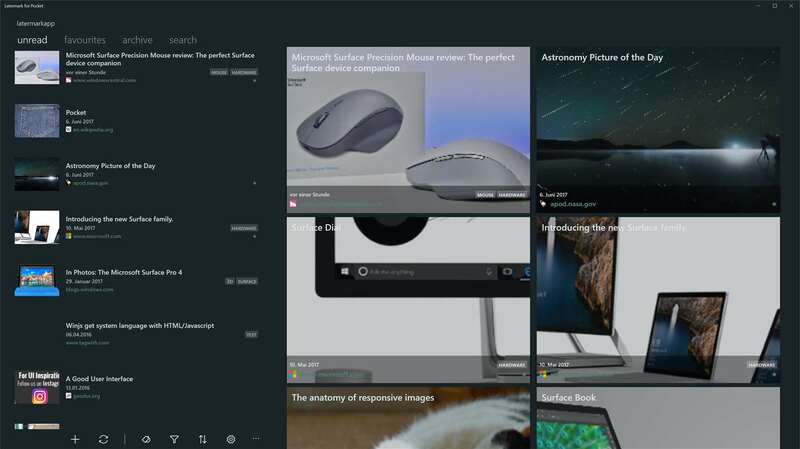 Latermark for Pocket UWP in action on a Windows 10 Desktop - the extra screen real estate enables a more expansive layout. Or, you know, plug the phone into a Continuum display? You can grab Latermark for Pocket UWP in the Store here.